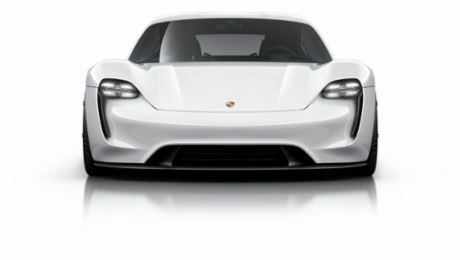 The company will hire more than 1,400 new employees in the Stuttgart region to work on the development and production of the first all-electric sports car from Porsche: Mission E.
The company plans to recruit experts in the fields of digitalisation, e-mobility, smart mobility and vehicle connectivity. Porsche will also focus on recruiting production planners familiar with Factory 4.0 and digital production and will hire more than 100 IT specialists as well. In addition, the newly established company Porsche Digital GmbH will soon be offering 50 jobs to creative individuals in order to integrate the latest technologies into mobility solutions for the premium vehicle segment. Finally, Porsche will increase apprentice numbers from 150 to 220. Porsche offers challenging assignments and a modern working environment in order to attract the most talented individuals. Various programmes such as those for ensuring the compatibility of profession and family life are designed to further the company's attractiveness as an employer. "One can in fact describe what is going on now as a 'war for talents'", says Andreas Haffner, Member of the Porsche AG Executive Board with responsibility for Human Resources. "We are in direct competition with other automakers and suppliers and IT firms in our global search for talented experts. Money alone is not enough to attract these creative minds. You also need to offer exciting challenges, an inspiring environment, the greatest possible freedom to create and, now more than ever, attractive programmes for the work-life balance. However, with the hiring of more than 1,500 college graduates over the last five years, we have shown that we can offer secure jobs with attractive career opportunities." Job-sharing is now carried out at the corporate level as well – an initial model for women managers in the Corporate Finance department has proved quite effective over the last two years. In addition, another two executive management positions will soon be filled by women. In order to ensure such positive developments continue, the share of female technical-industrial apprentices was increased from six per cent to 27 per cent over the last three years. In addition, the number of reserved slots at the Baden-Württemberg Cooperative State University has increased from 34 to 54. The great majority of these additional slots will be allocated to young women pursuing a technical course of study. As a result, women will account for 50 per cent of our students at the Baden-Württemberg Cooperative State University in future. Increasing the share of women in our workforce is a strategic goal. Whereas the share of the Porsche workforce accounted for by women totalled 13.5 per cent in 2013, that figure had risen to 15.1 per cent by 2015. During the same period, the share of women executive managers directly below the Executive Board level increased from 5.8 per cent to 8.0 per cent, while the share of all managers accounted for by women rose from 6.2 per cent to 7.4 per cent. Increasing the share of women managers is one of the stated objectives in the goal agreements for managers. The targets are based on the percentage of women in the respective collective bargaining pay-scale categories, which ensures equal opportunity for men and women.